Chip Kelly Update: The Dead Zone Lives! Some people call this “the Dead Zone,” the part of the NFL season where everyone is on vacation, training camp rosters have been filled to 90 and the draft, OTAs and minicamp are over. It’s the boring time when nothing happens, right? I don’t think so. In some ways, this is the most interesting time of the year. Writers have a chance to catch their breaths, watch tape and get a little perspective on all the events that came flying at them since last July 25, when 2014 training camps opened. For example, Matt Harmon — a fantasy football writer for NFL.com — is working on a project he calls the Reception Perception (expect an e-book later this month). As a teaser, he tweeted out a chart on the 2014 rookie receivers, breaking down their effectiveness against man, zone and press coverage (based on an 8-game sample). He also looked at double coverage, but unsurprisingly, rookie WRs were doubled so rarely that there isn’t much data to look at. Odell Beckham Jr. is the one exception, and he is even more of a stud than a casual analysis might suggest. ODB was effective more than 80% of the time against man, zone and press coverage, and more than two-thirds of the 28 times he was double-covered. You could spend hours finding interesting nuggets in this one chart. For example, Sammie Watkins, Marquise Lee and the recently-hyped Davante Adams were all weak across the board last year, and particularly susceptible to man coverage. The Eagles’ Jordan Matthews was third best against zone coverage among the 14 WRs in this excellent class of rookies, and a superb 85.7% effective against press coverage, second only to Beckham. He was slightly below average against man coverage, however (59.8%), though nowhere as bad as Watkins (49.5%) or Adams (47%). It will be interesting to see how this changes if he moves outside next year, as expected. Chip Kelly went nuts rebuilding the roster this off-season, and we won’t know until September how all of the changes pan out. But there are some initial indications that his moves were shrewd. For example, NFL.com’s Marc Sessler did a ranking of “6 players likely to disappoint in 2015,” and two are players that the Eagles got rid of this year — WR Jeremy Maclin (No. 6), and Nick Foles (No. 1). Cowboy’s running back Darren McFadden is No. 3, a sign that the DeMarco Murray signing was a good one, and I would add LeSean McCoy to the list. Shady certainly will be fed the ball by the Buffalo Bills, but their offensive line will be a big drop-off for him. The last time he had a line that bad in front of him was in 2012, when the Eagles were racked by injuries far worse than last year’s, and he declined to 840 yards while missing four games because of a concussion. I expect something similar this year. Byron Maxwell is also on that list, given his expensive contract, but even the article admits that he’s an upgrade on Bradley Fletcher and Cary Williams. As long as he clears that low hurdle, I doubt fans will be disappointed. The Eagles signed an offensive guard with an interesting back story. 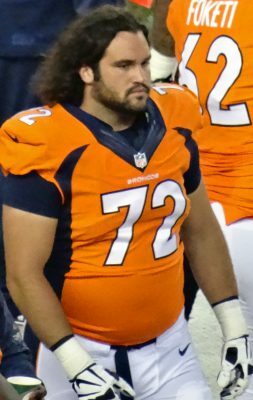 John Moffitt played for Seattle for two years but suddenly retired mid-season after being traded to Denver in 2013. He had lost the drive to play, and as Jay Glazer tells it, was fighting a drug problem. Moffitt was arrested a couple of times for public urination and drug possession, but apparently turned his life around. He went to rehab and began working out with Glazer and mixed martial arts star Randy Couture at their MMA Athletics, where the Eagles’ Lane Johnson trained last summer. This is no ordinary workout. As Dave Spadaro explained, it’s brutal, having caused Johnson to vomit nine times in his first three days. The concept is that football is a series of 60 10-second fights, which is not a bad attitude on the offensive line. Obviously there is considerable risk in a player with drug and alcohol issues who retired at 27. Going through a workout this tough is a good test of his desire to get back into football, though. Tommy Lawlor describes Moffitt as “not an ideal fit” for the Eagles, because of limited athleticism, but the team has a major hole at guard after letting Todd Herremans and Evan Mathis go. Moffitt signed with the Eagles for less money than other teams were offering, on a one-year “show me” deal, so there are some signs that both sides see this as a good situation. 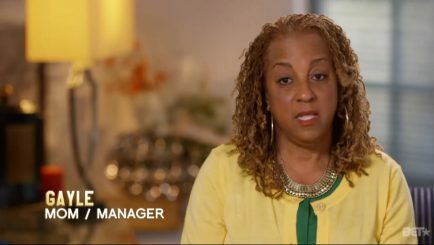 This borders so close to self-parody it almost feels like something that wound up on the cutting room floor of Ballers, or, when DeSean’s mom declares that “there’s gonna be a situation” if someone doesn’t do the dishes, like a script from Jersey Shore inadvertently got mixed in with the shot sheets for DeSean’s show, every scene of which feels painfully staged. At least Keeping Up with the Kardashians gives you the impression that they’re having real conversations with each other. More ridiculous than the themes in Home Team is the bad acting. Hmm, not so much. 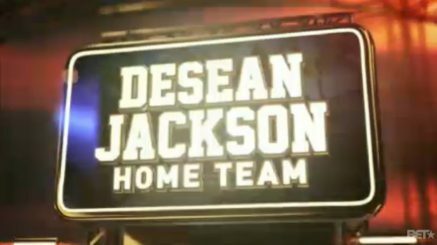 If you look at the statistics, DeSean was 13th in yards last year, tied for 29th in touchdowns, and tied for 58th in first downs. Even after he took a 25% pay cut to sign with Washington, the numbers say he’s still vastly overpaid. 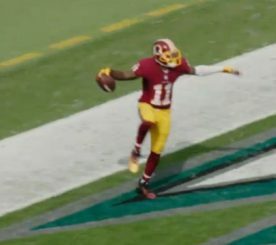 Yes, DeSean has enough talent to stay in the league. Jackson has great hands and is probably the best deep threat in the league, though don’t sleep on Arizona’s John Brown. But who wants a player determined to find out how little he can work to improve and still stay in the league?